The power of social media to make real connection. 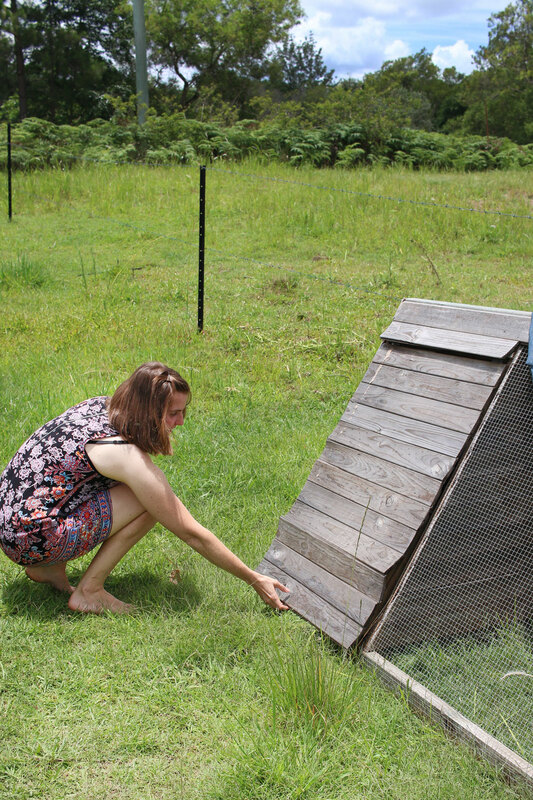 I was lucky enough to connect with Emily through social media when she reached out to me during the planning stages of her Tiny Home build. Our chats progressed into an ongoing convo where we started to realise that we had far more in common than just a passion for sustainable living (both lab technicians that were working just a few minutes down the road from each other). We met for the first time in a blind-date-style in an eco-minded car pool to the Mous Magazine panel discussion on Sustainability, in which Emily’s calming presence kept me from spiralling into a full-blown panic attack about facing my worst fear of public speaking without a script. 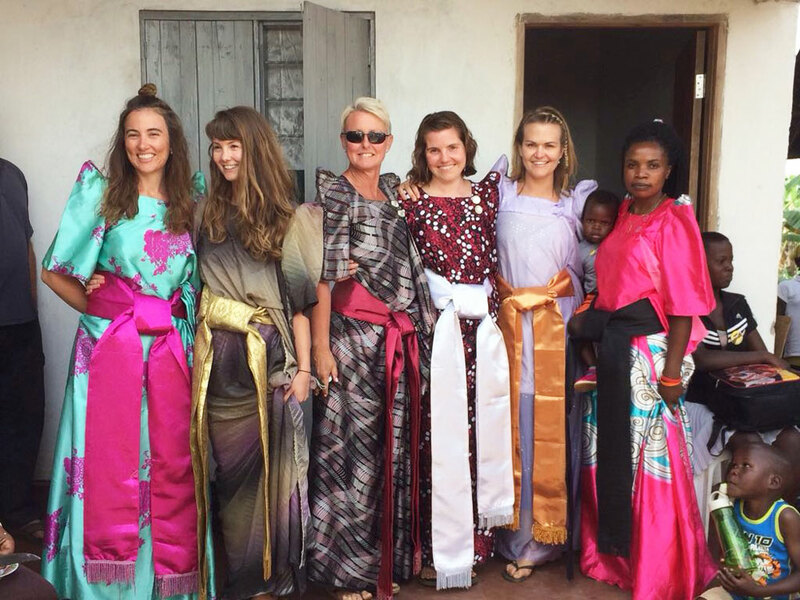 Not one to celebrate her accomplishments loud and proud, this Sustainably Stylish Leader is a quiet achiever who stepped out of her comfort zone to share her life and adventures with us in hope of inspiring others to take action. I hope you enjoy perusing her Tiny Home rural idyll and reach out to her if her recent adventures make you want to get sewing for feminine hygiene. I’ve just celebrated my 34th birthday last month and have found myself in quite a significant transitional period of my life. 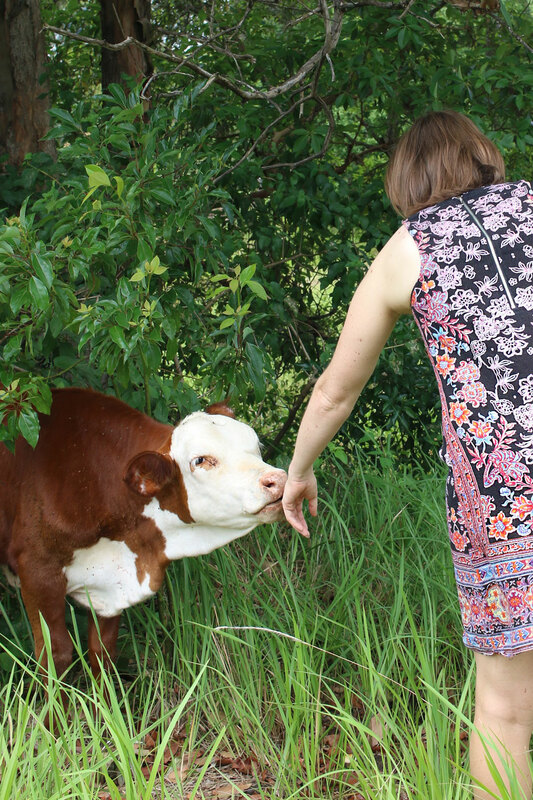 By day I work as a school Laboratory Technician, organising the science experiments for the student practicals at a couple of schools, and in the evenings I return home to my tiny abode which happens to be plonked in the middle of a cow paddock. Having a house on wheels allows such a choice of location, as well as allowing me to move on somewhere new when I need, or want to. Living out here, I’m learning a lot about myself these days, slowly finding out what I am and am not capable of, and what I’d like my future to look like personally. The Tiny Home in its natural habitat. First up- Instagram followers may have seen your adorable Tiny Home on the Sustainability in Style Instagram stories feed recently. So let’s start with the tiny home! 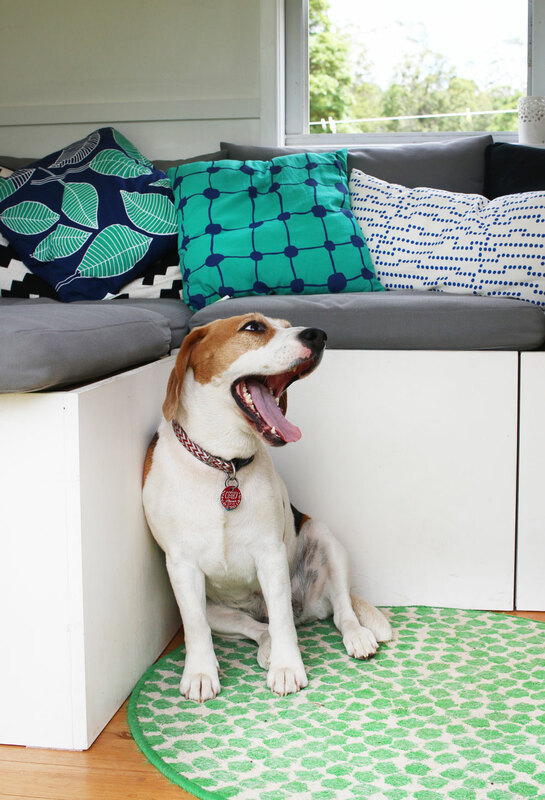 What sparked your interest in Tiny Home living? My Tiny House endeavour originally was a joint dream I shared with my then boyfriend. At the time we were unhappy with our lives which basically revolved around our day jobs that required over an hours commute each way, 5 days a week, which we needed in order to pay off the mortgage we’d entered into for a standard 3 bedroom, suburban house in Brisbane. At nights we’d often watch shows like Grand Designs, River Cottage and a number of Tiny House specific shows, and talk about how lovely a life like that would be. One night we sat on the couch, wine in hand, after watching one of our favourite Tiny House shows and I turned to my ex partner and said, why don’t we just build a Tiny House? To my surprise it didn’t take much more convincing at all and he was on board. It was only 1 month after that night that we had packed up our lives with a fairly open ended plan to make it happen, and were moving out of our ‘big’ home, and onto the property that we were going to construct the Tiny House. 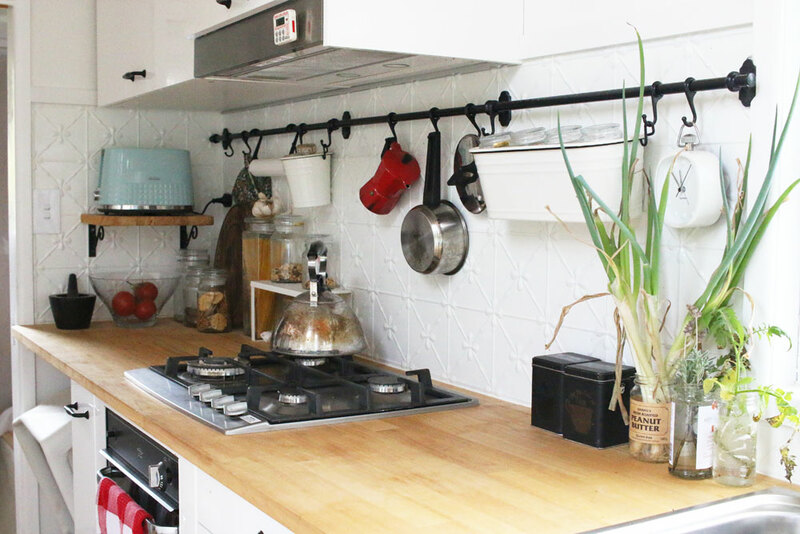 There was no cutting corners with the kitchen- full sized appliances and fully functional! A skylight above the loft bedroom offers night sky gazing and a fresh breeze. The Tiny Home offers big entertainment with a built in music system and projector for movie nights. Your tiny home is self-built! 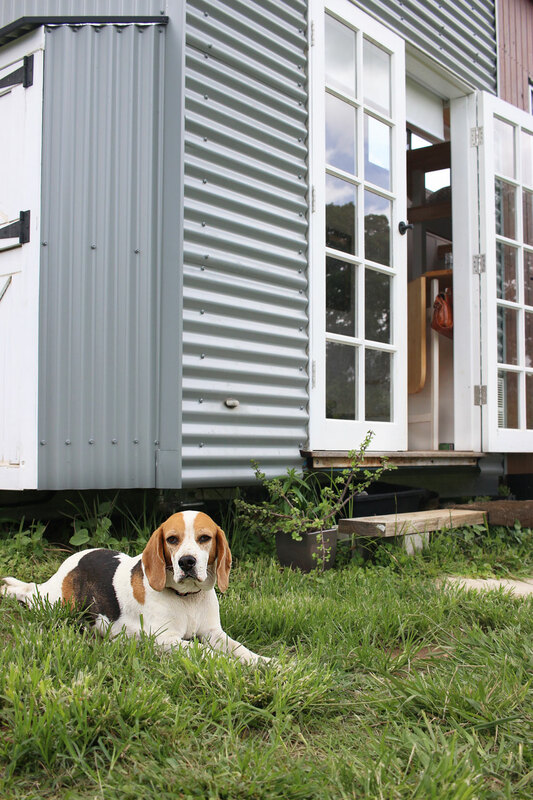 How did you go about building a tiny home from scratch? Care to share the design process? The internet is an incredible resource that we are so lucky to have at our fingertips. All the information we need is at the click of a button and it’s practically free too. Neither my ex nor I had any previous construction or drafting experience to begin with, so this really was a massive challenge that has required a lot of focus and drive to succeed. We used a CAD program called SketchUp where we could design our dream Tiny House to quite a detailed level. That took approximately 2 months to perfect just in time for when we had our professionally build, custom made trailer ready. To a degree we had a bit of luck as my partner had just started an electrical apprenticeship which gave us access to detailed building codes and guidelines through the TAFE library. Once we had our house on paper with all the dimensions clearly mapped out, we began to search for as much second hand, low cost materials that we could find, which led us to actually constructing the house. The process has been one step at a time, which has also meant we never needed the total cost up front, and meant you were able to keep any overwhelming thoughts at bay, just focussing on one thing at a time. 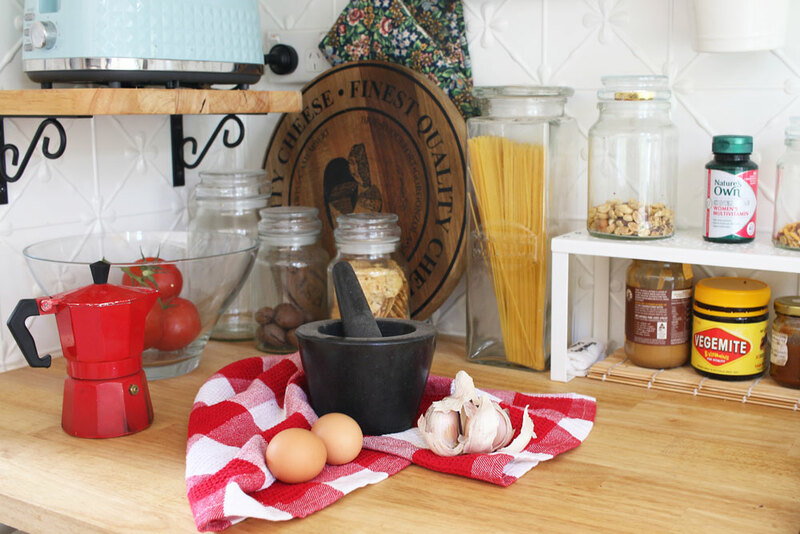 Pressed tin hand-painted by Emily gives the kitchen personality. 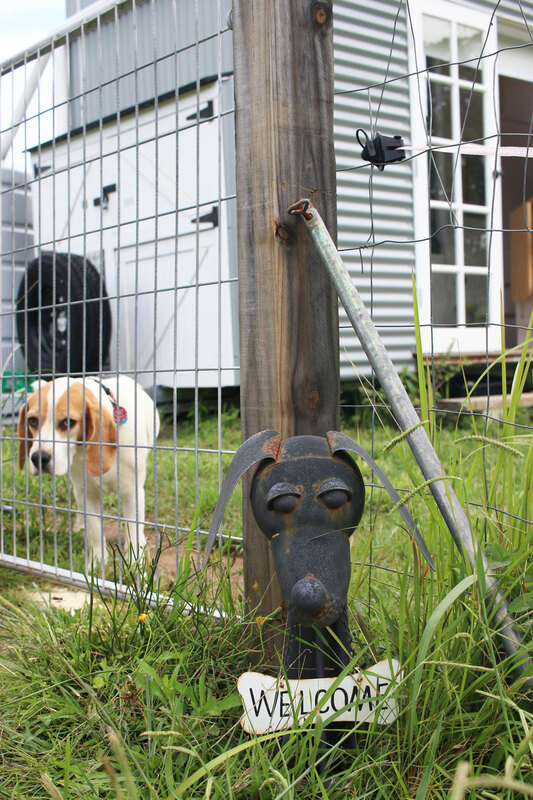 Tiny Home mascot Bonnie looking pretty chuffed about her country lifestyle. Intentional design is key in creating a functional space, a handbag hook is tucked behind the collapsable dining table. 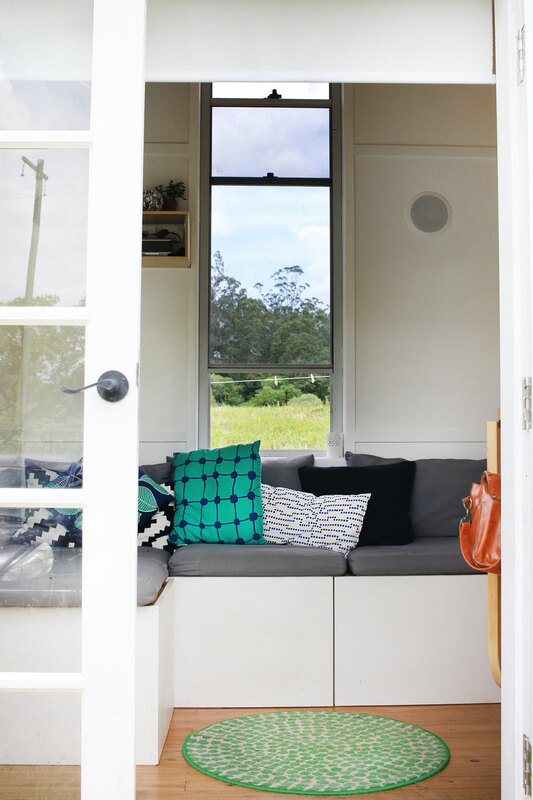 What were the biggest considerations you had to make in designing a tiny home? The biggest were the overall dimensions, it needed to be 2.5 meters wide at most so it wouldn’t become a wide load when on the roads, and couldn’t be taller than 4.3 meters high to allow for clearance of bridges. Weight also had a huge bearing on all of our decisions throughout the whole build as we cannot go over 4.5 tonne with our trailer. Weight distribution was also very important when designing a house on wheels that impacted on the layout of our home. Were there any challenges in the building process? What were they? There were a lot of challenges! 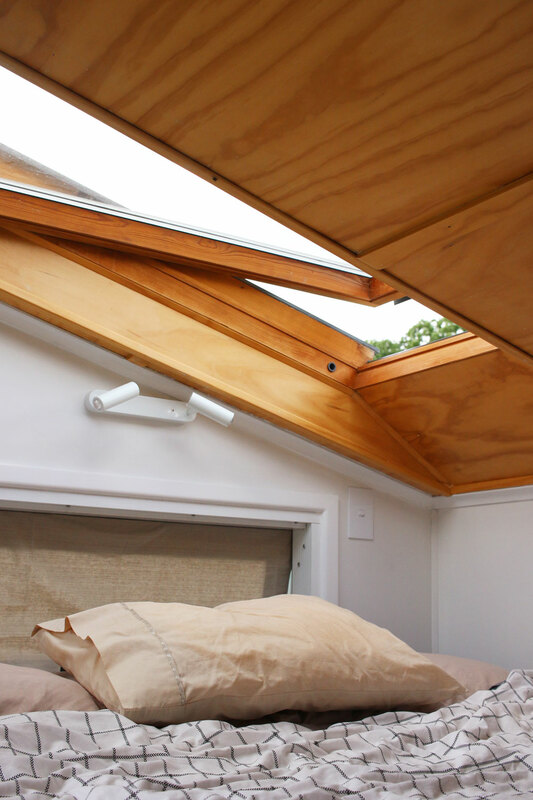 Nothing is standard when it comes to a Tiny House, almost everything needs modifying or considerations to acknowledge. For example, we have a wheel arch below our kitchen cabinets and sink which has required us to lift the whole bench an extra 10 cm’s higher than a typical bench in a normal houses (turns out the extra height is really good on your back when washing up, which is a bonus). It felt like every day of the build we would come across something new to consider before we could complete a task, which meant that everything would take 3 times longer than originally assumed. 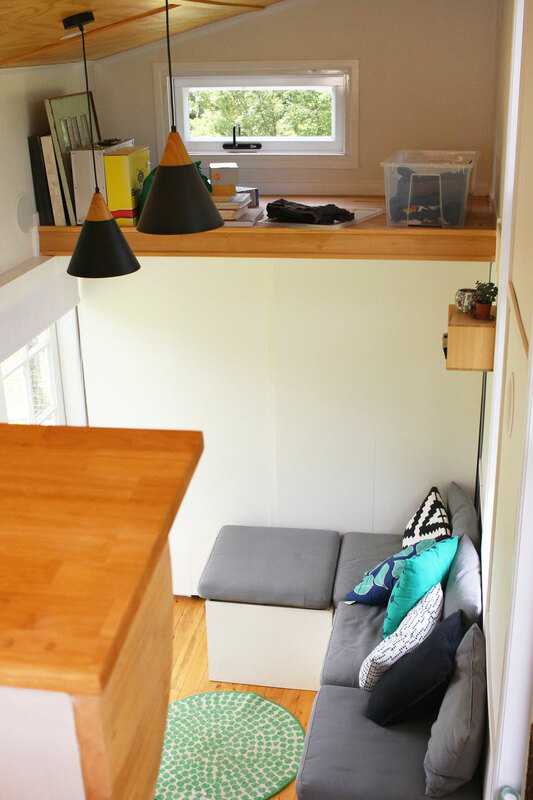 Was finding a place to park your tiny home difficult? Care to share the story? This is a huge factor that for some has been the moment they have decided not to go ahead with their dream home. We didn’t know where our home would end up resting when we started building it, we just knew we wanted to be out of the city and more rural or coastal. What I’ve learnt from this whole experience is to not force anything, as it will all work out in the end. 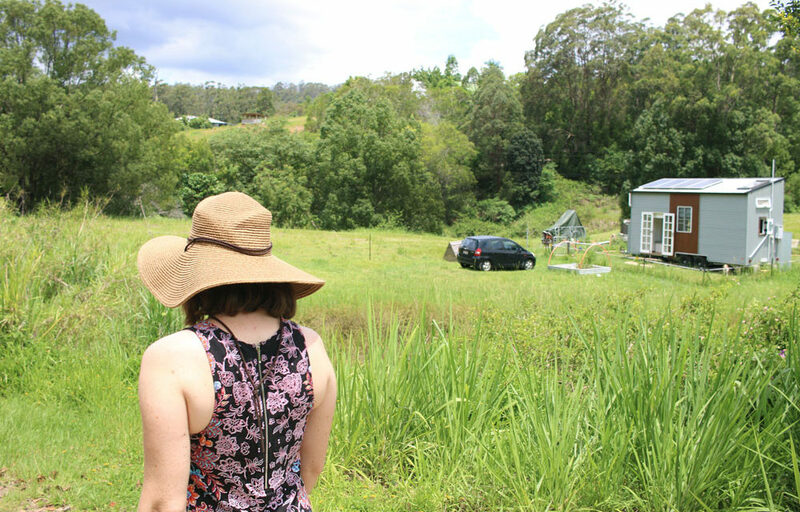 We had gotten to crunch time when I needed to resign from my job in Brisbane in order to move to the Sunshine Coast, where my ex partners new job was based, and we had nowhere organised to live. At the very last minute I asked a friend if his partners parents land would be appropriate and within a couple of days we took a drive to meet them and check out the property. It was as simple as that, and just in the nick of time we had a perfect location to plonk the Tiny House. Everything basically just fell into place, and sometimes I need to pinch myself as a reminder that it’s all real. Kicking back with a cup of tea is easy with cheerful tunes and countryside views. Art imitating life! Bonnie and her metal mate. Minimal living doesn’t mean zero personality. 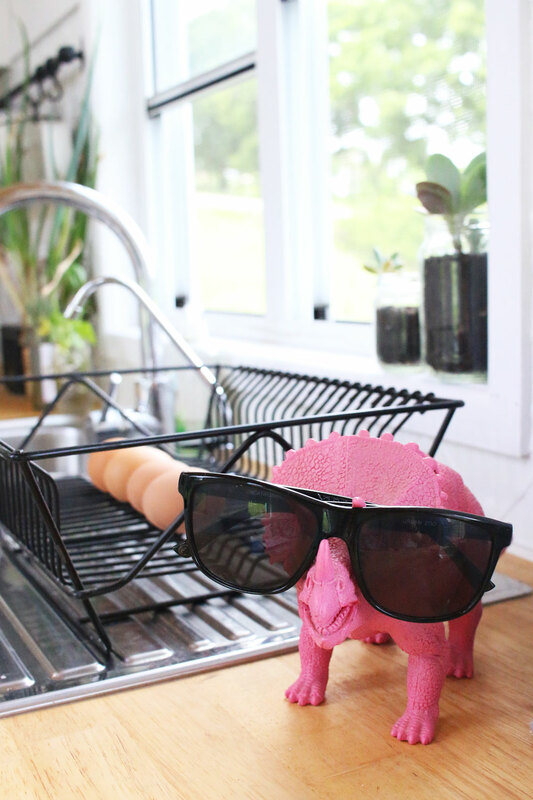 Emily’s has chosen a pink triceratops as a must-have in her Tiny Home life. 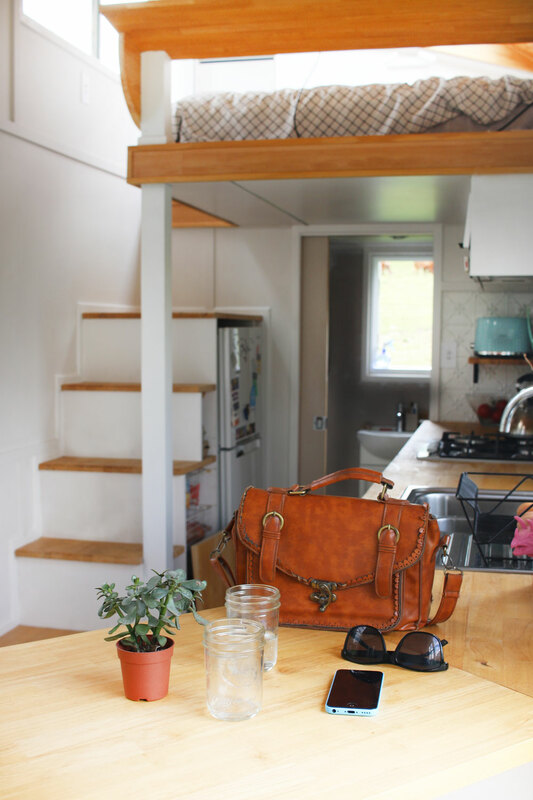 How has tiny home living been for you? You are off the grid too! Please share all the solar/water/waste info with us! The hardest part about off grid living has been water consumption. I only have a 3000L rain water tank and a 7 x 2.5 meter catchment area on my roof. In the dry months it can be difficult to capture enough water, and I have had to buy water in once. Showers are timed and water is reused if possible. 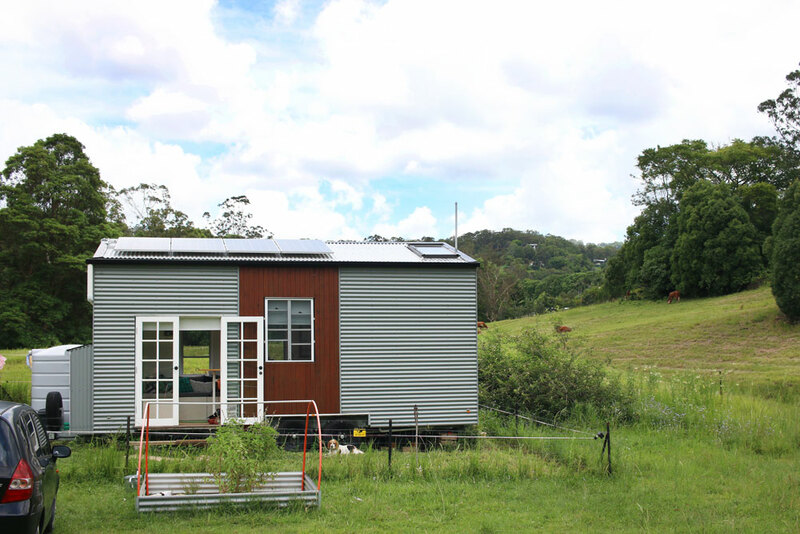 The house is solar powered with the biggest energy requirement being set aside for the fridge, everything else is switched off whenever it’s not in use. Water is heated by gas as it would be too much of a hit on the solar reserves, as is the oven and stove. Any waste that is created in this house I need to deal with myself, and that includes human waste. I have a composting toilet, which requires liquids and solids to be separated. Once the toilet inside is full, it is a responsibility of mine to then transfer it outside to a large composting bin where it will continue to break down for approximately 6 months until it turns completely into composted soil. Generally, because rubbish needs to be transported elsewhere (I don’t have the luxury of a garbage man), I try my best not to bring too many packaged items into the house so as to reduce my waste output. Sometimes I’m really good at this, but there’s times when I definitely drop the ball, but it is all a learning curve and eventually I hope to create no rubbish, or at least very little. 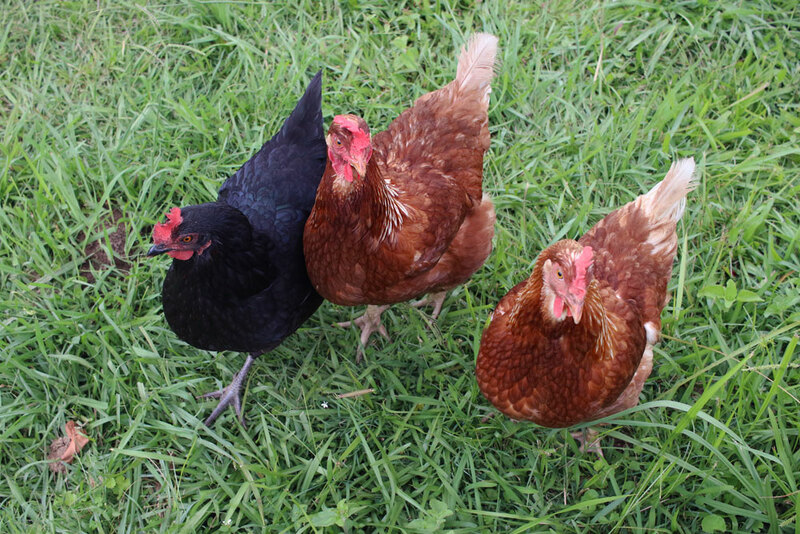 Feathered friends roam free during daylight and roost safe at night. Turning scraps into food. Ok… the important question for Sustainably Stylish readers. 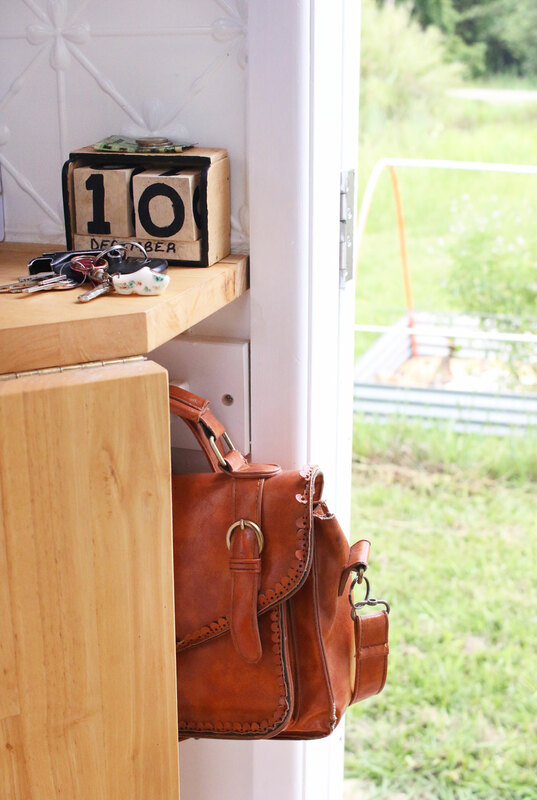 How’s life with a Tiny Home closet? Have you had to purge or change the way you dress? I’ve never had a huge closet of clothes, and I find that I always just have a handful of things I wear, the rest just sit there never seeing the light of day. I think my closet is a little bigger than some Tiny Houses I’ve seen around, but it’s still pretty small in the scheme of things. Basically, the space I have is perfect for me and I have room to fill it more if I wanted. 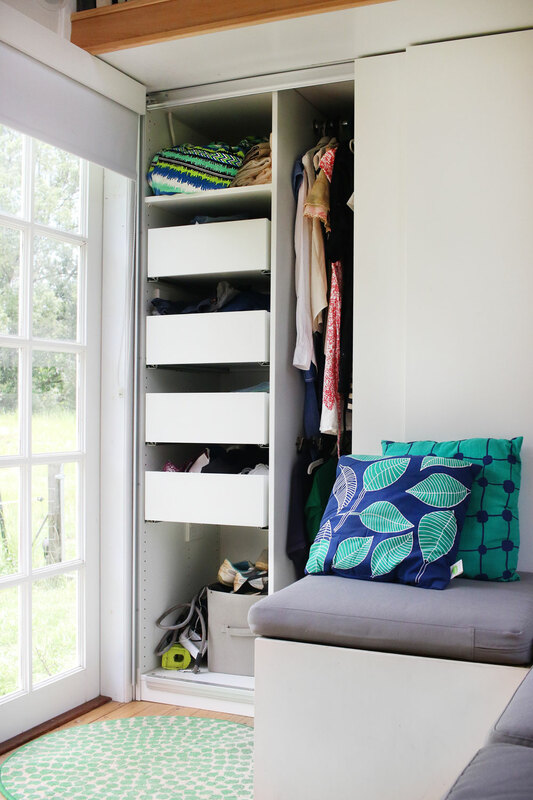 What would be your top ‘must-own’ items for living with a smaller and considered closet? The versatile little black dress (it goes without saying really doesn’t it), and a favourite pair of jeans. Accessories don’t take up much room and can really switch up an outfit, so relying more on them can save space and change an outfit completely. What are your tips, advice or warnings for anyone considering the Tiny Home lifestyle? 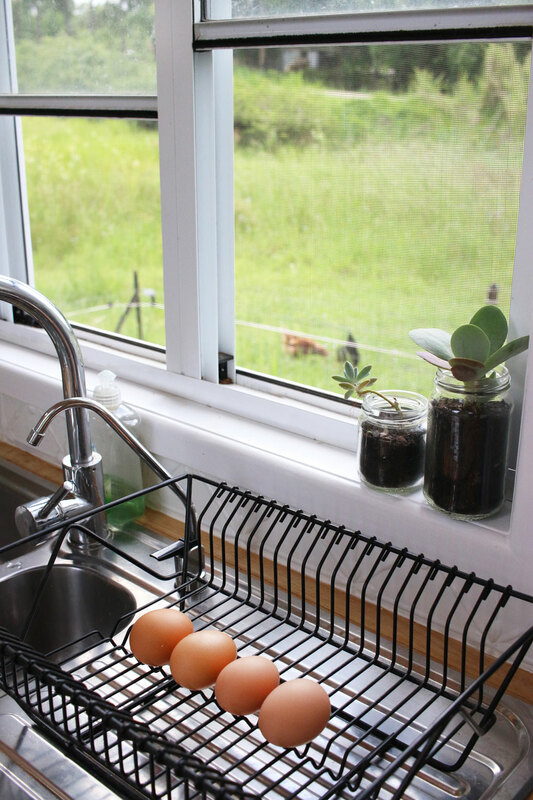 It’s not the most glamorous of lifestyle choices, especially when it’s off the grid, so you need to take into consideration if you are capable of dealing with some not so easy or pleasant tasks. It also requires a bit of out of the box considerations, and the ability to troubleshoot when something isn’t working the way it is meant to. Also, you need to be happy with not really knowing what’s around the corner, seeing as this is a very ‘alternative’ way of living, you may find you have to uproot before you were planning, or that something just doesn’t go to plan, which is when plan B is put into action. 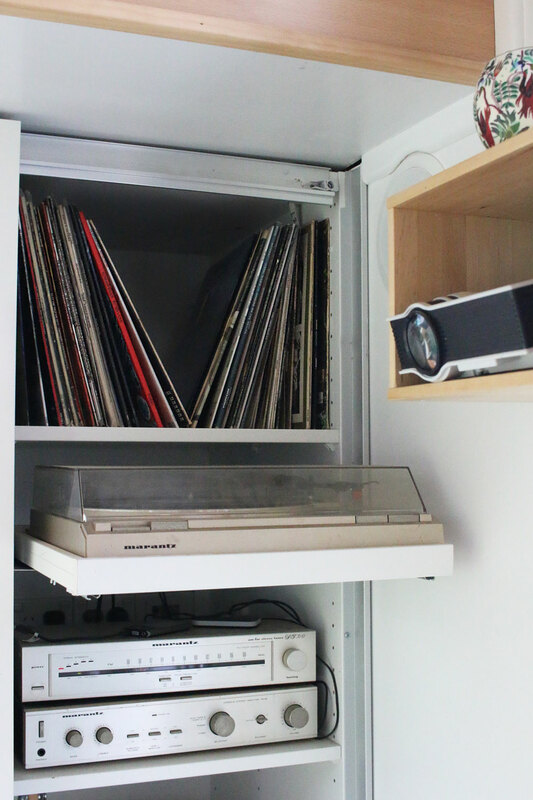 The Home might be ‘Tiny’ but the closet is ample! Priorities on pointe. Bonnie strikes a pose on a space that will one day be an outdoor living deck. Views of the living space from the bedroom loft. The void opposite will be a developed into a reading nook. 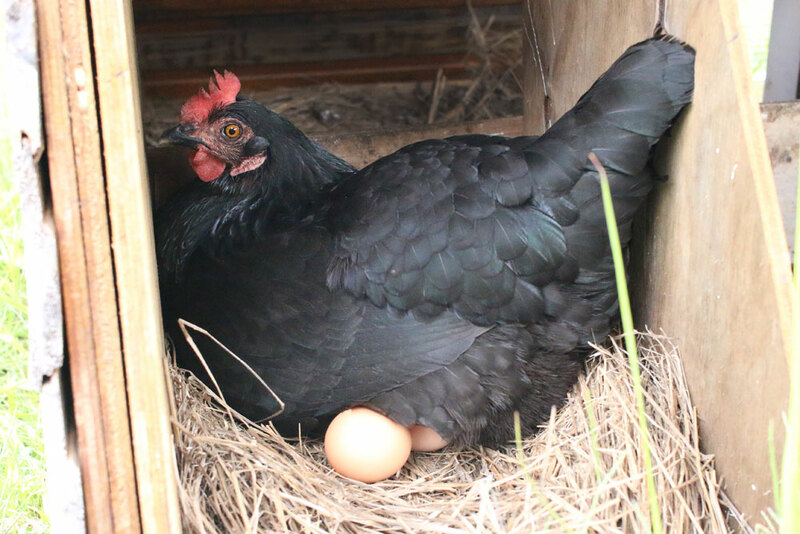 Chicken’s graze within view while fresh eggs dry after a wash down. The Tiny Home from the collapsable dining table. The bathroom at the end of the space contains a full shower and a composing toilet. Not content with just living the off-the-grid quiet life, you recently embarked on an overseas adventure that pushed you out of your comfort zone for the sake of something you are passionate about. Want to give us an overview? I recently took part in a humanitarian trip through a very small, not-for-profit, organisation called Followings. I was one of 8 volunteers who travelled to rural Uganda which we had been fundraising for in order to build an education centre for the village of Busubi. While I was there I facilitated a number of workshops with my focus being on women’s health and hygiene, along with domestic violence and family planning. 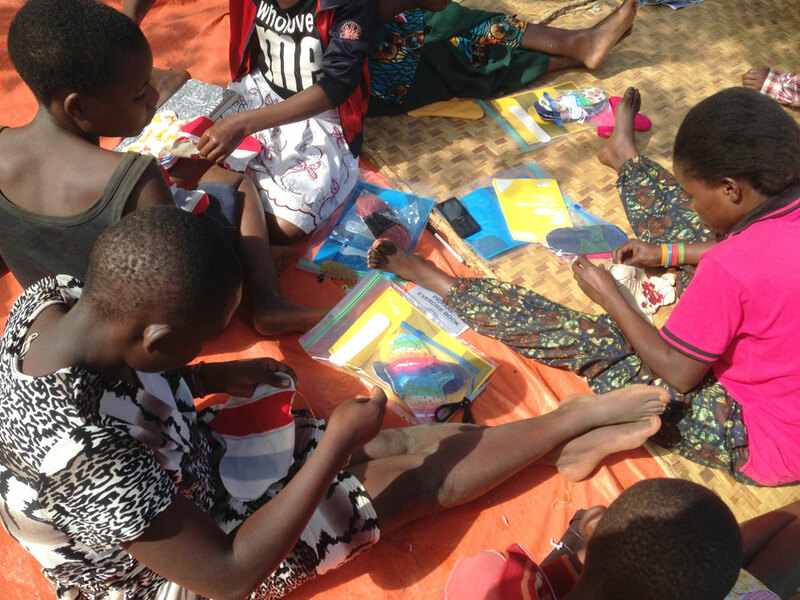 Prior to arriving, and with the help of a number of friends, we had made 145 reusable menstrual pads that I was able to give out to the ladies in my workshops, and then teach them how to continue to make their own. The joy and gratitude I experienced from everyone there was overwhelming and has left quite a lasting impression on me, something I couldn’t possibly forget anytime soon. All 8 of us had our own responsibilities in regards to conducting our targeted workshops, and we all agree that we left feeling that we’d made a tremendous amount of headway in just a short amount of time with long lasting results. The trip in November was the first visit to the village and the very beginning of this challenge that has been set to better enrich the lives of the locals of the area. 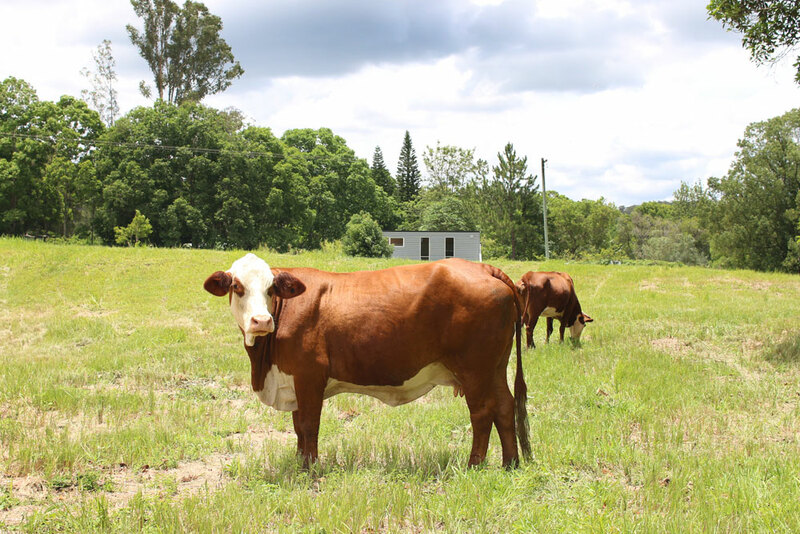 A lot of thought and hard work has gone into this particular endeavour with an ultimate aim of the project becoming completely self sustaining for the locals who will continue these workshops themselves. The education centre will become a hub for the community to meet, learn and teach and in time will create opportunities for the villagers to generate an income. With our support right now and for the following 2 years, we will continue to provide resources, tools and information in exchange for regular reports on the activities, challenges and accomplishments made by the team in Busubi, and twice a year we will return for further on the ground work again with the community. What were some of the highlights of this women’s education journey? The second workshop I facilitated with the ladies was such a wonderful morning, it was here that I delivered all the packs I’d made for the ladies which had 2 premade reusable pads, enough material to make two more pads, a template, 2 buttons, a needle and thread. After explaining how they are made and used, they all set about hand sewing their own with the materials provided. We sat outside in the shade of the trees, and chatted, laughed and learnt new skills. I felt so blessed to have been there, sharing that moment with the beautiful women who surrounded me. Was there a moment where your limits were pushed and you felt like you might not be able to deliver your goals? I had a very profound moment when I felt like I’d gone into meltdown, it happened only 5 minutes before my first workshop was about to start too! It was on the second day after I’d arrived in the village and although at the time I hadn’t processed my thoughts completely, I think I was feeling a little overwhelmed with everything. I mean, I was in completely new surroundings with people I barely knew, and about to conduct work on an issue designed to have life changing results for all involved. Basically what happened was, I asked a friend if she would mind hearing a few points I wanted to go through with the upcoming workshop so it were all fresh in my mind. I’d only said one sentenced and felt my eyes start to well up and my voice start to crack, I was on the verge of tears, and with only 5 minutes before I needed to be giving a presentation! So after about a minute of freaking out and noticing that I was just working myself up (very counterproductive indeed), I decided to step outside for a bit of fresh air and a couple of deep breaths, and then just kept walking straight into the workshop, I had to go with the flow- I had no other choice really. I walked up the front with Bryan, my interpreter and fellow instructor from the village, turned around to face everyone, and all of a sudden I felt all my anxiety just drain out of my body. The faces I was looking at were so comforting and I knew that I wanted to be exactly where I was and deliver the information I had prepared to give. It also helped that when you’re working on ‘African time’ (as they call it) not everyone had arrived on time, which meant I was able to ease into it while the rest of the party arrived. It was after taking this first workshop that my experience went from feeling at my lowest to all of a sudden feeling my best, it was an incredible moment and a great example of the emotional rollercoaster the whole journey turned out to be… in a very good way! 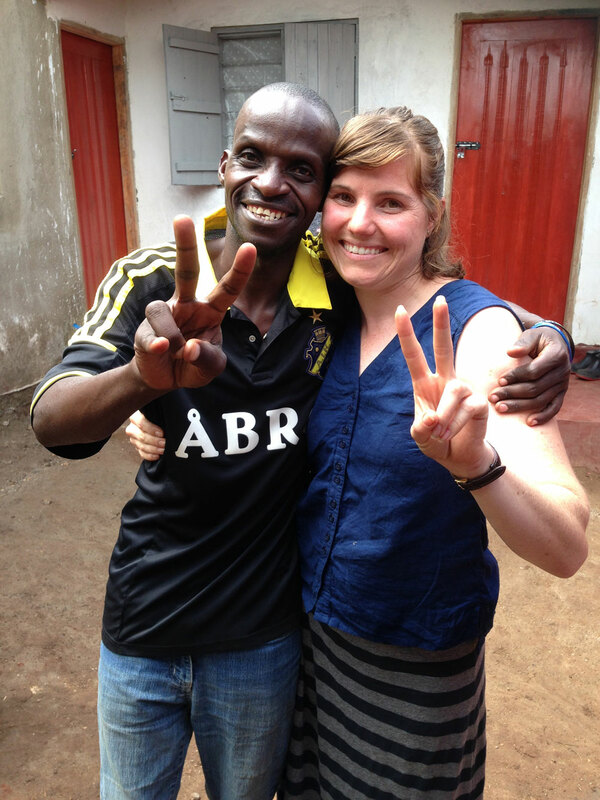 Emily and John, the man who reached out in hope to create a better life for his community. Do you feel like it transformed you in any way? Absolutely, I was so far out of my comfort zone, it’s amazing to think I got through it all really. Prior to leaving I needed to first get passed my fear of public speaking, which meant regularly attending classes that I’d need to prepare mini speeches for and then present. I also needed to push myself to prepare enough content to present to everyone that was the right balance of not too much, but not too little. I wasn’t there to lecture, I was there to aid the community in a way that will help them keep these programs going on their own. I had never done anything to this magnitude, and it seriously tested my emotional level as well as my own self esteem. I’m generally a very shy and quiet individual, so having the spotlight on me was very confronting and I believe I’ve gained a lot more confidence in my own abilities since. I recently said, that if there’s one lesson I’m going to take away from this, it’s that you can do anything you set your mind to, if you want it you can make it happen. 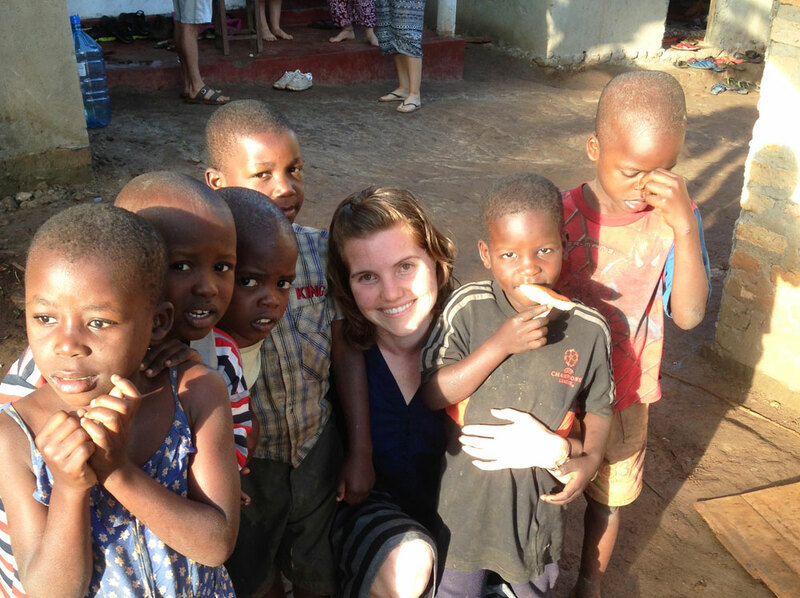 Emily spending time with the local kids. The room the team called home for the duration of their visit. How can people get involved in this mission to make feminine hygiene more accessible? Go to Followings where Lauren has all the information in one place to either apply as a volunteer, or donate money or resources to further help this community achieve their goals. If you would specifically like to make the reusable menstrual pads, by contacting either me through my Instagram (@still_emily) or Lauren through the website we can organise an address that the pads can be sent closer to the date of the next trip in April/ May 2018. Finally, what are your thoughts about the way that we interact with the planet? Do you feel like individuals can have a positive influence on others? How do you think that tiny home living can play a part in this? (Just a bit of general creative/reflective discussion if you feel like it). I don’t think I would be living in an off grid tiny home if it weren’t for some influence by others around me. I probably wouldn’t have even considered it if I didn’t see and hear of other people who have and are living this much simpler existence. It’s clear from watching the world news that humans are creating a lot of thoughtless destruction which is creating some seriously negative impacts on the environment, and it can certainly feel overwhelming to think about where to start and how you could possibly even help in the scheme of things. What I’m finding, is when you just concentrate on your own movements and not overcomplicating things too much, slowly you can create more informed decisions and start to feel happy with your own environmentally friendly actions. It’s all one step at a time, just like building a tiny house, rather than trying to do everything at once complete one thing and then move onto the next. Eventually people will start to notice the good you are trying to achieve, and perhaps it will influence their choices too. 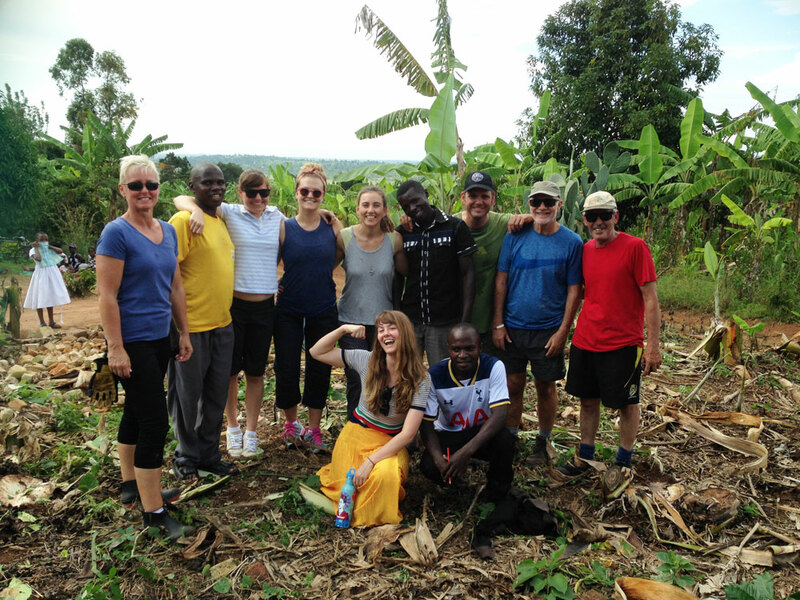 The team and some locals pose in an area prepared for the construction of an education facility. A massive thank you to Emily for this inspiring story of Sustainability Leadership and for letting us snoop inside her gorgeous home. Leave all your love and comments below. NextLast Minute Gift Ideas for Eco Minded Folks. What an incredibly inspiring story Katie. Gosh. After being in Africa myself earlier this year this has really hit a nerve and that gorgeous tiny home!! This is the type of article that leaves you deep in thought and pondering…which is why this comment sounds a bit rambling!!! Emily is so inspiring in her own unassuming way. Perhaps I will let her know when you are back here again and we finally get to meet in person. I’m sure you guys would have lots to talk about. When are you due back in Oz? Ps. Rambling comments are the best kind. Inspiring on so many levels. Thanks for sharing Emily, and Katie for the interview and introduction. My pleasure. It’s been so exciting to share these stories of everyday Sustainability Leadership. Emily is such an inspiration! Thanks for taking time to comment.